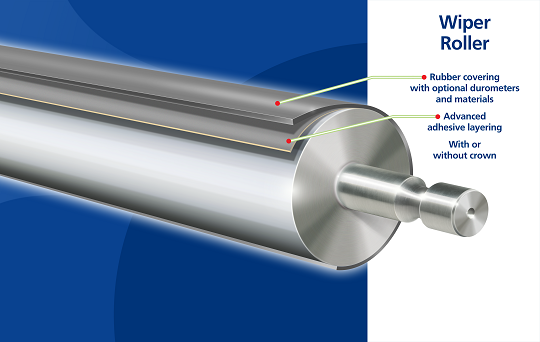 In producing our Wiper rolls we secure maximum bond strength between your steel core and its new rubber covering. We thread and grit-blast our rubber meter rolls before the rubber is applied, then an infrared autoclave dry-cures the rubber from the inside out, providing denser coatings with more uniform durometers. We hand finish all wiper rolls to ensure an exact RMS finish so you can count on consistent transfer during the printing process. Specially formulated compounds give you maximum resistance to abrasion and wear.